Calling all inspirational women across the world – the 8th of March is International Women’s Day. It’s an opportunity to celebrate the achievements of women and also a great excuse to become more inspirational in our own lives: there’s never been a better time to re-focus on your diet and lifestyle choices. Feeling alive is all about having great energy. As a Nutritionist, one of the most common in-clinic symptoms people complain of is low energy. There are many people, particularly women, trying to cope with low levels of energy on a daily basis, whilst juggling the demands of home, family and work. She was pushing her body to the limits, but many women find that just getting through the day to day can be a battle when energy levels are so low. That means foods high in sugar including biscuits, cakes and pastries. The body uses B vitamins, calcium and magnesium to digest these foods but these nutrients also provide the body with energy. So we don’t want to waste these energy-giving vitamins and minerals on processed foods which are no good for us. Try eating a baked sweet potato at lunchtime with some tuna. 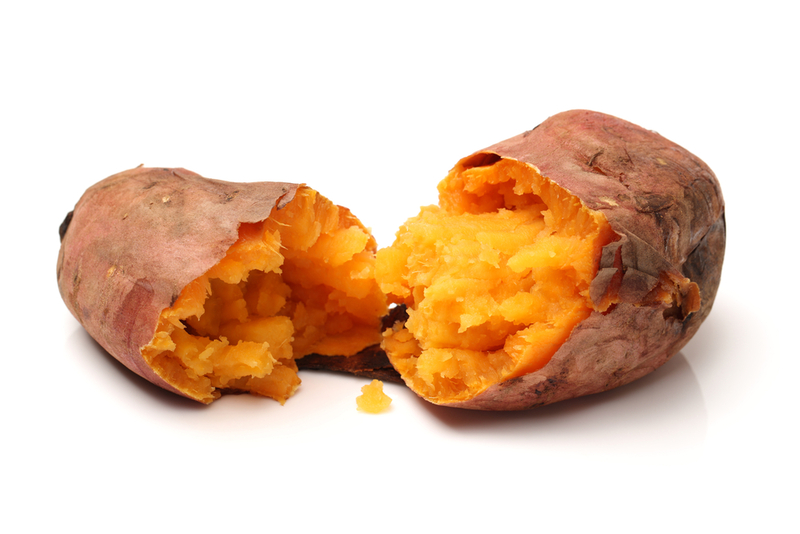 Sweet potato is high in sustained energy-giving carbohydrates and the tuna will provide some protein to stop those hunger pangs later in the day. 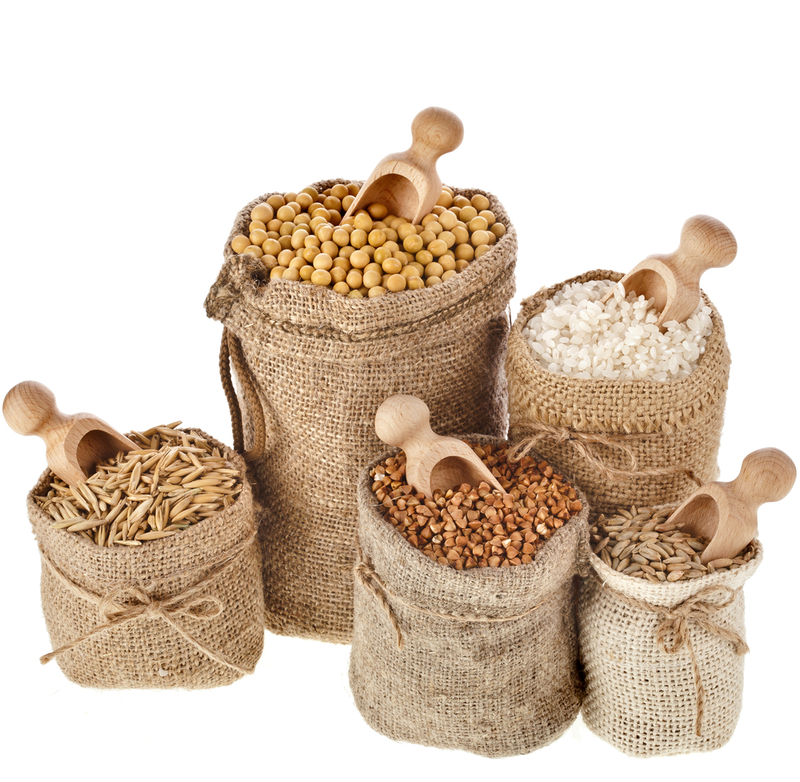 Wholegrains, such as oats, brown rice and quinoa, are packed full of these nutrients which provide the body with energy, so try to include some in your diet every day. Purple fruits include purple grapes, figs, passion fruit, raisins, plums and dried plums and many berries such as blackberries, blueberries, elderberries, cranberries and bilberries. 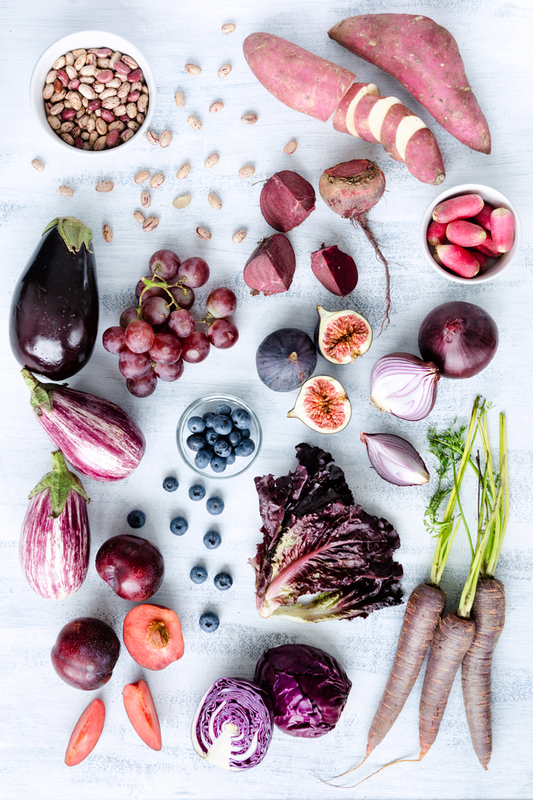 The purple pigmentation provides us with some of the richest sources of anthocyanins, which have amazing health bearing qualities, such as the antioxidant protection they provide. Additionally the anthocynanin compounds in bilberries, have been the subject of much research over the years, regarding their potential to improve vision. Purple vegetables such as purple cabbage and purple sprouting broccoli are packed with vitamin C and are a great source of carotenoids (colourful pigments that provide powerful antioxidant protection), iron, folic acid, calcium, fibre and vitamin A. And the good news is that between February and April, purple sprouting broccoli comes into season, so it’s at its best in terms of taste and nutrient content. 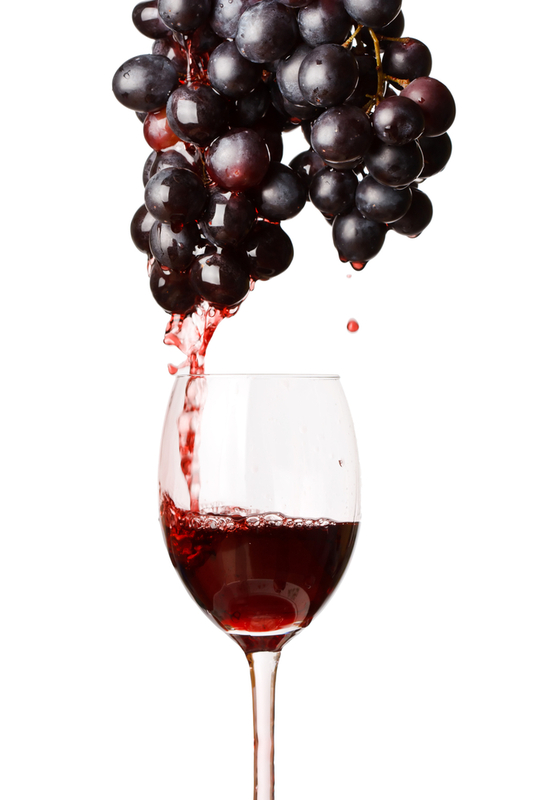 And let us not forget purple grapes or as I like to call them by their alternative name – red wine! Have you heard of ‘The French Paradox’? It’s a catchphrase first used in the late 1980’s which summarises the somewhat paradoxical fact that the French generally have a low incidence of heart disease despite seemingly having a high intake of saturated fats, such as meat and cheese. The key to this appears to be in the compound, resveratrol, found naturally in purple grapes and some berries, which contains antioxidant properties and may also provide some protection of the heart. The evidence is mixed but there’s certainly no reason not to include grapes and berries in abundance in your diet – and of course the odd glass of red wine! Now is a great time to think about getting in shape for the spring and summer season. 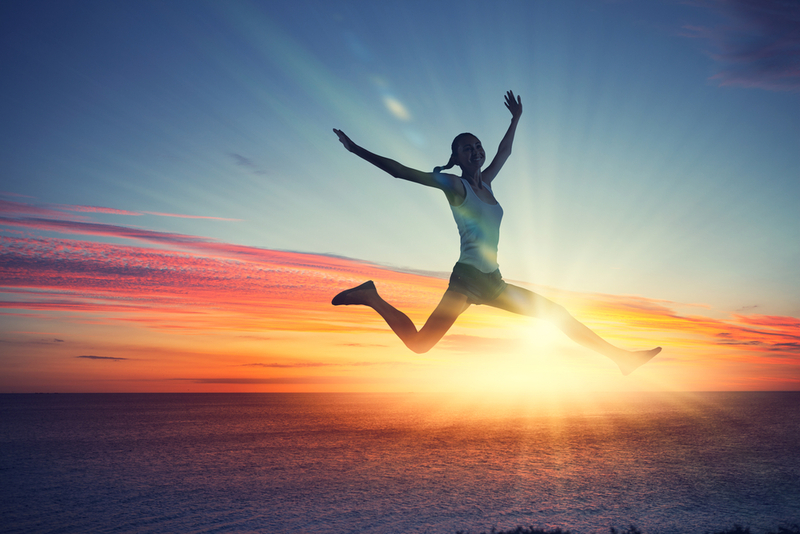 Inspirational women such as the ultra-successful Oprah Winfrey, who has famously and publicly battled against her weight problems, knows that this isn’t always easy. However, she has made no secret of the fact that the three key elements to her weight loss campaign were nutrition, exercise and sleep. It may seem obvious, but making your life more active in general will help you to lose weight and, more importantly, maintain where you want to be from a fitness and size point of view – and this all supports a more confident, happier and inspirational you. Many women will shy away from weight training in the gym. However, increasing lean muscle tissue, from repetitive strength training will keep the body more metabolically active, meaning that you will burn more calories at rest which is a bonus. 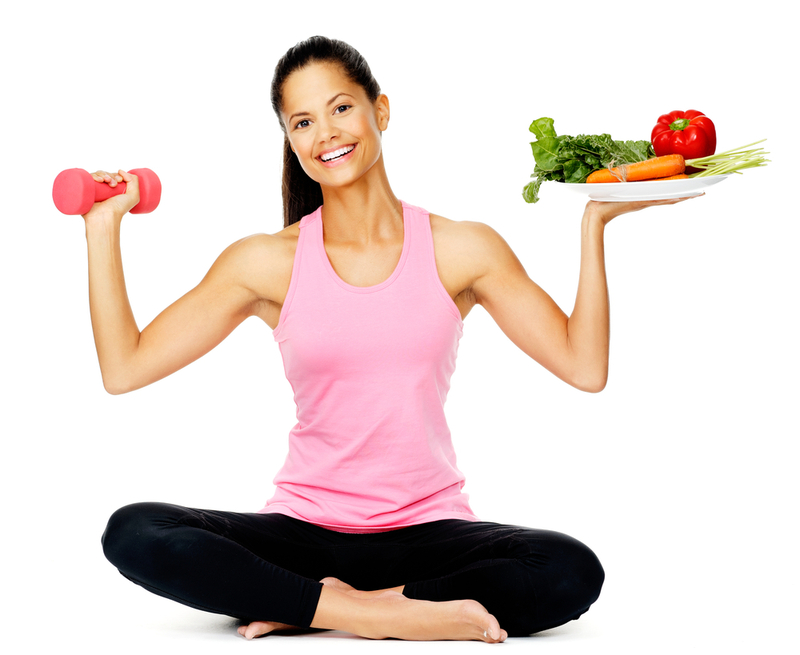 In short, it can make your weight loss target a whole lot easier to obtain. To sleep, perchance to dream… of a healthier you! Oprah Winfrey also said that sleep was an important part of successful weight loss. There are a number of reasons for this; firstly, when we are tired, we tend to reach for sugary snacks to keep energy levels up – they give us a quick boost but in the long term are no good for us nutritionally. Secondly, one of the hormones that signal fullness, called leptin, is secreted less when we are sleep-deprived, which means that we will tend to feel more hungry and therefore eat more. And thirdly, the hormone, cortisol, which is released through stress and lack of sleep, causes the body to conserve fuel during waking hours, hence you will be more prone to storing fat. A good bedtime routine is essential, just as we did during childhood. For us, that means turning off the TV, tablet, mobile and laptop, taking a nice warm bath and reading a good book to fully relax and prepare us for a good night’s sleep.